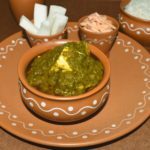 What is butter paneer masala? 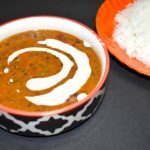 Butter paneer masala recipe is a rich and creamy gravy preparation with some chunks of cottage cheese dunked in. This particular recipe is not very heavy as no onions or garlic is used. 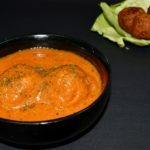 It is infused with the flavor of fenugreek leaves (Kasuri methi) and the kick of red chili powder. This recipe of butter paneer masala or any recipe of paneer, asks for perfect paneer that is soft and spongy still firm. Further we need some tomato puree, heavy cream or malai, and yogurt. Apart from these some basic spices are required. 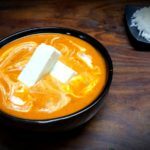 For perfect texture of paneer masala, it is very important to use tomato puree instead of just grinding them in the blender. do not use tangy tomatoes. Make sure to use the sweeter ones. I have used Kashmiri red chili powder. If you plan to use regular red chili powder, adjust the quantity as per your taste (or keep it 1 tsp). 4. Add salt, sugar, water, and paneer : Add in salt to taste. If you don't like the hint of sweetness, just omit it. As per the desired consistency add in water. Let it come to a good boil. Cook for a couple of minutes. 5. 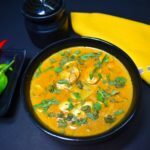 Garnish with fenugreek leaves and coriander leaves : Garnish with some handful of crushed fenugreek leaves and a handful of chopped coriander. Heat a pan. Add half tablespoon oil thereafter at 2 tablespoons butter. Add 2 teaspoon Kashmiri red chilli powder, 1 teaspoon fenugreek leaves powder and half teaspoon turmeric powder. Cook the spices for some 30 seconds second. Tip: Adding red chilli powder and turmeric powder at the initial stage gives a very beautiful colour to the gravy. Add puree of three tomatoes and cook them. Cover the pan with a lid to avoid spluttering of tomato puree. Cook till the oil surfaces. Tip: Don’t just blend the tomatoes. Make a puree. Add 3 tbsp yogurt. Stir continuously to avoid spluttering of yogurt. Cook for 3-4 minutes. Thereafter add 3 tbsp heavy cream. Cook it for a couple of minutes. As per the desired consistency add the required quantity of water. Let it come to a good boil. Thereafter add in paneer pieces. Cook for a couple of minutes. Tip: Do not overcook after adding paneer. 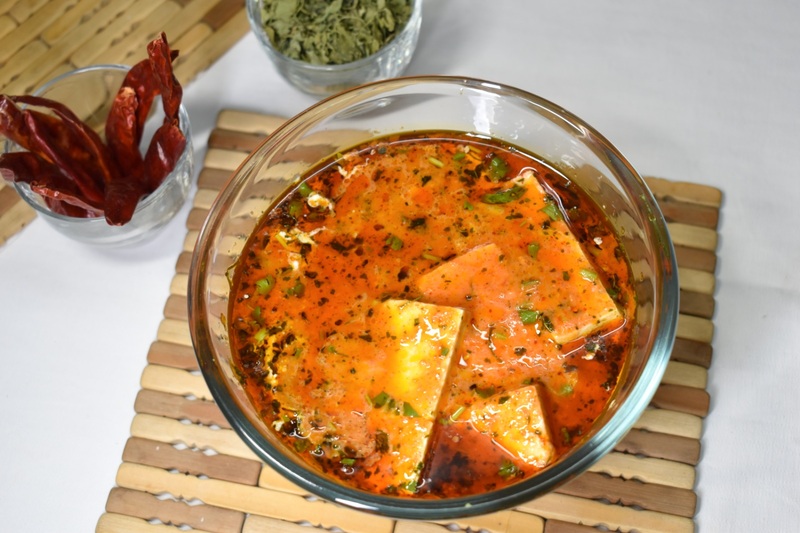 The paneer might get hard, especially if you are using homemade paneer. Finish of butter paneer masala, finish off as in finish off cooking not finish off eating, as of now, with some handful of crushed fenugreek leaves and handful of chopped coriander.